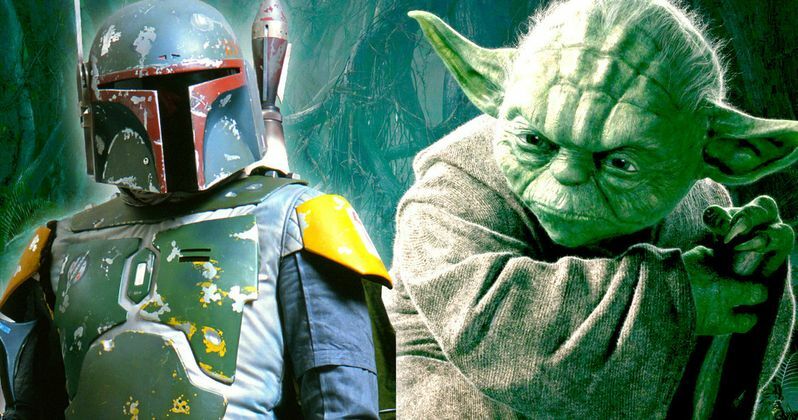 Boba Fett and Yoda Movies Coming After Obi-Wan Spin-Off? Today it was confirmed that Disney and Lucasfilm are developing the Obi-Wan Kenobi spin-off movie after years of talk about the project. However, one thing that was overlooked in the initial report was the confirmation that Yoda and Boba Fett spin-off movies are also currently in development. We've heard rumors for years about these projects, but today was the first real information that we have received that confirms that the wheels are in motion for a standalone Yoda movie as well as a standalone Boba Fett movie. The news comes to us via The Hollywood Reporter. In the article detailing the development of the Obi-Wan Kenobi movie, The Hollywood Reporter also casually mentions that Yoda and Boba Fett movies are also currently in development. The article had this to say. "The Obi-Wan Kenobi standalone is one of several projects being developed by Lucasfilm and Disney that fall outside the trilogies telling the saga of the Skywalker family. A Han Solo movie is now in the final stages of shooting under new director Ron Howard and Lucasfilm is also looking at movies featuring Yoda and bounty hunter Boba Fett, among others." The movies would have to be prequels, but no further information is known at this time. Lucasfilm and Disney had a monster hit with Rogue One and are certainly hoping for the same results with the upcoming Han Solo movie. A Boba Fett movie has been talked about for years and was even attached to director Josh Trank for a time before 2015's The Fantastic Four came out and tanked. Trank even went so far as to make a Boba Fett sizzle reel for Star Wars Celebration in 2015. The sizzle reel was reportedly going to be the announcement of the project, but it was quickly pulled and the movie was shelved after having a 2018 release date. It is unclear just how far Trank got in the project, but he was working on it before Chris Miller and Phil Lord were attached to direct the Han Solo movie. A standalone Yoda movie has been rumored since 2013, though not as much information is known about how far along the project has gone since then. Fans have been waiting for the backstory of Yoda on the big screen forever and the spin-off for the Jedi Master was actually rumored to be the first standalone movie to be released, which obviously didn't work out as planned. It's also interesting to note that a Jabba the Hut movie was also rumored to have been in development at that time. Thankfully, we have not heard anymore rumblings about that project. The Obi-Wan Kenobi movie is in the very early stages of development with Stephen Daldry attached to direct and is rumored to be without a script at the moment, so it could be quite a while before we end up seeing the Yoda and Boba Fett spin-off movies. Thankfully, in the meantime we have plenty of Star Wars to be excited about. The Last Jedi comes out December 15th, 2017 and the Han Solo movie comes out May 25th, 2018. Not to mention that Star Wars 9 comes out comes out May 24th, 2019. There is definitely no shortage of Star Wars coming our way.